Starting a new company isn’t easy; it requires discipline, creativity, a lot of luck. One obstacle almost every startup will come across is financing and while there’s no doubt getting initial funding is difficult, but the truth is the next steps aren’t any easier. When it comes time to allocating money within the business you’ll come across a common paradox faced by every new startup; you need to grow your brand to make money but have zero money. So where should your money go? How can you determine an effective marketing budget? And most importantly, what’s can you expect as a return on investment (ROI)? As you can imagine trying to figure all this out is enough to make you head spin, that’s why we’ve put together a simple guide to help you set the perfect budget for you business. If we assume the best way to determine your marketing budget is as a percentage your startup’s projected gross revenue we can find a solid starting point. 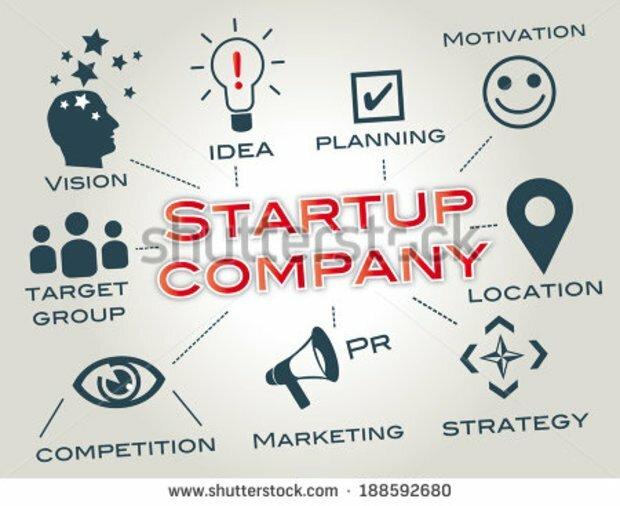 It is often recommended that companies that have been in business for 1-5 years should allocate 12-20% of their gross revenue or projected revenue on marketing for the year, whereas a startup should spend more simply because they need to create buzz and carve out a market share. Now that we have a rough estimate of the money you need to set aside, it’s time to break down the budget; technology costs, paid advertising, and even content marketing all need to be considered. For startups or brands looking to shake up the landscape of their industry, these are all essential factors (and general costs) you need to account for. Of course, many of these ‘essential’ costs will still depend upon your actually budget, so take this advice with a grain of salt. From business cards to the homepage of you website, branding is the face of your business and will have a big impact on how it’s perceived. You should think about branding as an investment for the future of your company and as such you should be prepared to spend to achieve the perfect look. A small design agency may charge between $4,000-5,000 for branding, but cheaper alternatives exist; just remember this is your company’s first impression so you’ll want to make it count. If you’re a web savvy entrepreneur you make think setting up your website is going to be easy. However, if you’d like your website to radiate a polished look and match the rest of your branding, don’t be afraid to bring in some extra help. Generally, an all-inclusive website can cost $3,500-$5,000 if you go to the professionals. Depending on what you want your business to become, you’ll need to consider website tone of voice, layout, SEO, onsite content, and upkeep fees. Finally make sure the site mobile-friendly; search engines are placing more and more importance on the mobile web and if your site doesn’t have a responsive design you’ll be behind from launch. You’ll often hear that if you want to succeed in social media, you need to be on every single platform—Facebook, Twitter, Tumblr, Pinterest, LinkedIn, Google+, Snapchat, WhatsApp, etc. As you’ll quickly find out however, for new businesses this simply isn’t possible. If you’re just starting, try to select few social media platforms (2-3) that you feel will give you best chance to reach your audience and set a social savvy intern or staff member to handle updates. If you don’t have anyone internally that can handle the work expect to shell out $1,000-$2,500 a month on a freelance community manager or small agency, plus the tools needed to succeed in social media and community management (Hootsuite for example). What is the driving force that keeps the internet going? The answer is content. To stay competitive you need to be creating high-quality content that attracts traffic and converts visitors into customers. We all know Google likes content, and as it’s their algorithms that control how easy it is to find your business, it’s a no brainer then that content creation needs to be part of your budget. You may be tempted to assign ‘content creation’ to a single team member and call it a day, but if you want to create an effective strategy you’ll need to be prepared to spend a little more. Though content marketing may take up a small portion of your initial budget, you should be prepared to increase it in the future as your business grows. The right content marketing agencies will scale with your budget, typically starting at $2,000 a month for basic content strategy and production. Traditional advertising isn’t as precise or accurate as internet marketing, but it remains essential across a range of industries. For this type of traditional full-scaled advertising—including print, outdoor, and media — you can expect to pay at least $3,000 per month. Finally, you want your business to grow you’re going to need to network. Attending other company’s events is a great way to get started; however holding events will be essential in many industries, and as such you should set aside some budget for functions. For a small scale event, allocate at least $5,000 and scale it up as your networking needs grow. It’s important to remember that this is a top level guide and you can expect some fluctuations in costs depending on your specific needs and the evolving marketing landscape. For example content marketing is expected to grow, with 55% of companies (startups and established companies alike) saying they will increase their content marketing budget in 2016.